Cap sleeve formal dresses are fabulous for the girl who wants to remain modest while maintaining a flirty and feminine look. A cap sleeve partially covers the shoulder and then tapers down below the underarm. 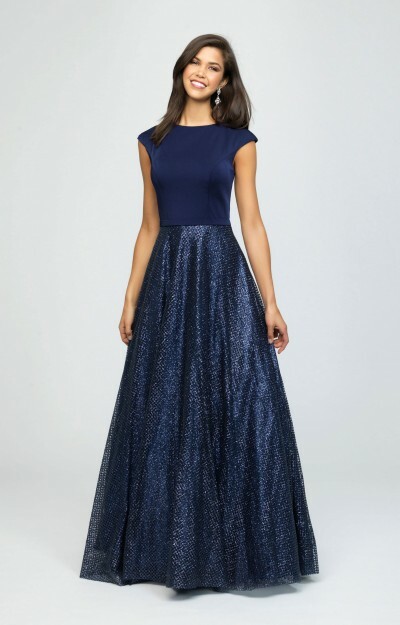 Commonly seen in both short and long dresses, a cap sleeve dress is an ideal choice for a variety of occasions, from homecoming to a pageant or a cocktail party. A bride would look stunning on her special day with a white lace mermaid dress with a set of cap sleeves. For prom, choose a cap sleeve prom dress with an A-line silhouette to highlight your fantastic figure.